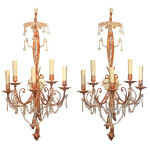 Legacy Antiques is home to one of Dallas, Texas’ most comprehensive inventories of hand-selected antiques. Our 14,000 sq.ft. 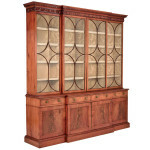 showroom proudly offers a fine selection of 18th Century and 19th Century French and European antiques, including decorative antique furniture, antique lighting, antique mirrors, and much more! 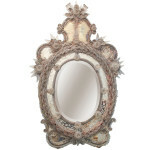 We receive new shipments of antiques from France, Italy, Spain and other parts of the world on a regular basis. 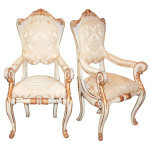 Our furnishings consist of a variety of styles including French formal, Louis XV, Louis XVI, Napoleon III, Empire antiques, Louis Phillipe and transitional pieces. 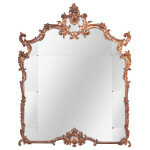 We consistently have over 100 antique mirrors in stock including over 30 antique Louis Phillipe mirrors. 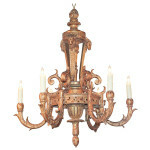 We are probably most proud of our selection of antique lighting which consists of over 150 antique chandeliers. 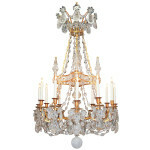 We carry bronze, crystal, antique iron chandeliers, carved and antique giltwood chandeliers, Venetian and Murano glass chandeliers, antique stained glass lanterns and more! All of our items are hand picked by us one piece at a time, as we are always on the search for both high quality and decorative antiques. 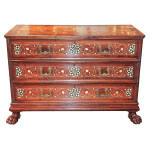 Legacy Antiques is managed by Justin Garrett, son of owners Jeff and Vicki Garrett. 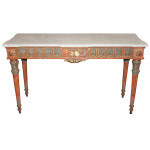 Justin is a 3rd generation antique dealer following in the footsteps of Charles Clements, his late grandfather.